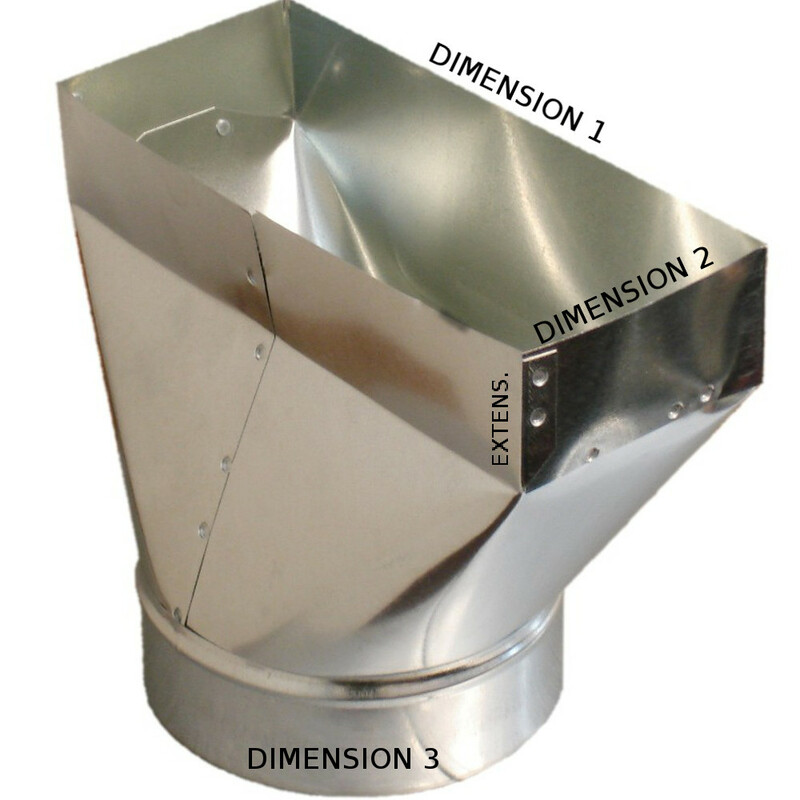 A straight register boot or PH1 is a major component of an excellent ductwork system. The boot can be fastened to other ducts, including ceiling and wall units, using a nail and screw. We have made it easy for you to decide which product suits your aplication. By referencing the image it clearly defines that the first listed dimesion is the width of the rectangular portion, the second dimension is the dimesion of the depth of the rectangular portion, the third dimension is the diameter of the round portion. And last but not lease some of boots also include an extension. This is the dimension that is the straight portion located on the rectangular portion of the. Please note that if there is no "EXTENSION" listed in description it is no included and equals zaero. If you have questions please feel free to contact us. Expect to spend about 20 minutes or less installing register boots. Airtight gaskets in the products reduce and eliminate leaks in heating, ventilation and air conditioning (HVAC) systems. These leak stoppages save you money and lower energy consumption. Straight collars and wider and narrower straight boots can be used to meet your HVAC design needs. Narrower boots start at 8-5" with wider boots going up to 14 inches.